Herrera or Sanchez - who would join a kids' kickabout? 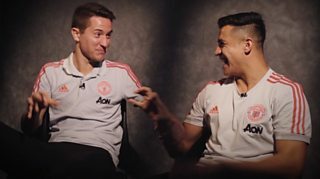 Manchester United players Ander Herrera and Alexis Sanchez talk about their love of football and what they would do if they were walking past a kickabout in the park. 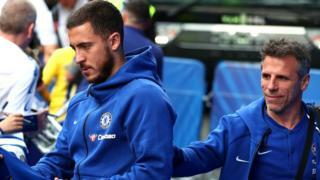 Watch Chelsea v Manchester United in the FA Cup fifth round on BBC One at 19:00 GMT on Monday, 18 February.